Who doesn’t like pizza? Unfortunately, most people with gut health issues are not able to enjoy this wonderful Italian specialty without it causing some major problems. First, mix the yogurt with the baking soda and leave it to froth for a bit. Next, beat the egg in a bowl and blend it with the bubbly yogurt, the flour, olive oil, and the salt. Heat the oven to 180° C/ 356° F.
In the meantime, take a baking pan and cover it with parchment paper. Spread the pizza crust mixture in a thin layer and bake for about 10-15 minutes (depending on the thickness). Garnish with whatever you prefer and bring the dish back in the oven until it is fully cooked. If you liked this delicious simple pizza crust idea, you can find more delicious gluten-free recipes in “Gluten Free Cooking“! 114 QUICK AND EASY GLUTEN-FREE RECIPES! You will get loads of healthy recipes, low carb, and vegan ideas for everyday and anytime. => and so much more! Boost your health, wellness, and natural weight-loss with these yummy and easy wheat-free recipes! Grab “Gluten Free Cooking” today! 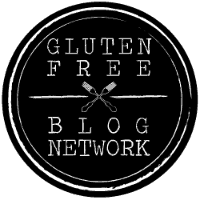 Stay tuned for more healthy gluten-free recipes and health articles! This entry was posted in Recipes, Wellbeing of the Body and tagged colon health, gluten intolerance, gluten sensitivity, gluten-free, gut health, healing, health, healthy diet, healthy recipes. Bookmark the permalink.